I was sent an Associated Press news article about a middle school student accused of anti-Semitic bullying and of making threats to a fellow student and asked if I was going to write about the situation. I opened the article, expecting to read about this latest horror story occurring in some faraway place – only to discover that the incident occurred in our own school district at TE Middle School in Berwyn. According to the story, which the family shared with news media, the bully’s target was their 12 year old daughter who told him she was no longer interested in him. His response was to retaliate by texting images of Adolph Hitler and ‘dirty Jew’ remarks. He reportedly also threated to bring a gun to school and go after 33 classmates, including the female student who ‘broke up’ with him. Although the male student faces criminal charges for his actions, the article states that he returned to school within a week. The female student was so afraid when the boy returned to school, that the family has removed her from the school for the remainder of the year. Since the news article first surfaced, I have heard that the death threat against the 33 fellow classmates was investigated and dismissed by the school. I have no idea whether that the threat was real or not or if it was dismissed. However, what I do know is that anti-Semitic bullying is not simply a ‘cyber incident’ or a ‘boys will be boys’ situation. These are scary times we are living in – if a kid makes ‘dirty Jew’ comments and texts Adolph Hitler images at 12 years old, a simple “I’m sorry” does not cut it for me. Besides the seriousness of the actual incident, in my opinion there is a significant problem with the fact that the other parents at the school were not notified by the school district. Instead, the parents and the community learn about the anti-Semitic act from the Associated Press! According to the news article, “School officials made no public announcement about the case, and other parents know only what they heard around town.” Subsequent to the AP news release, various versions of the story are appearing on the major TV networks. Why does it take the anti-Semitic story working its way through to AP news channels and publically broadcast coast to coast for us to learn about it? To my knowledge and unless someone tells me differently, no letters were sent to the TE Middle School parents regarding the anti-Semitic situation. Since the February event at Marjory Stoneman Douglas High School in Parkland, Florida, the District has received some questions about how TESD responds when information about a potential threat is shared with school officials. The following is a short summary. Parents and students are encouraged to report potential threats to school administrators so the school may begin to investigate and implement appropriate measures. It seems to me in the last few years we are hearing more and more of these anti-Semitic incidents. A little investigation and I found that for the last 39 years, the Anti-Defamation League has conducted a yearly audit of anti-Semitic incidents. 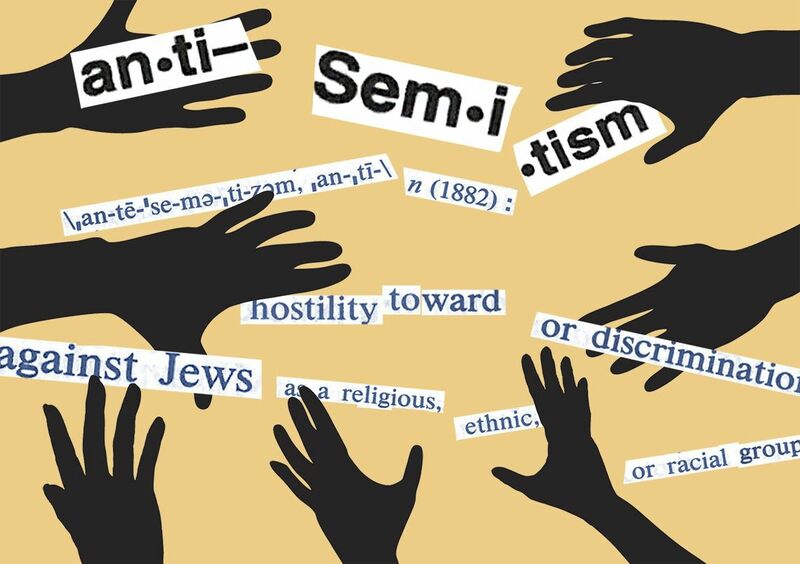 The 2017 survey reported there were nearly 2,000 anti-Semitic incidents – the highest number recorded since conducting the first survey in 1979 and an increase by 57% over the previous year. The annual audit tracks incidents of vandalism, harassment or assault reported to the Anti-Defamation League by police, media and victims. Only verifiable incidents are included in the survey. In previous audits, the majority of reported anti-Semitic incidents occurred in public areas, like parks. However, the most frightening statistic to emerge from the 2017 report indicates that 457 incidents occurred in K-12 schools – an increase of 94 percent from the previous year! And it is not geographic based – the anti-Semitic incidents reported in 2017 occurred in each of the 50 states, with Pennsylvania having the sixth highest number of incidents behind New York, California, New Jersey, Massachusetts and Florida. Although I am not an educator, I am a parent and we are living in angry times. I know that there are two sides to every story and maybe I do not have all the facts but I know one thing for certain – hate-filled anti-Semitism has no place in our schools. The world should never forget that under Hitler’s leadership, some 6 million Jews were murdered during World War II. All children need to feel safe at school. The school district went to great effort and expense to install fences around the schools. However, reflecting over the last several years, the threat has not come from outsiders (not to say that the District should not be prepared!) but rather internally – repeated assault of a female Conestoga student by a male District aide and assault of a learning disabled male student by a Conestoga aide and coach to name a couple. Don’t sweep anti-Semitism under the carpet and turn a blind eye … use this as a teachable moment.